Friday Fan Art Feature! – April 2014 – Week 4! With Elizabeth, Garrus, Mario, Big Boss, Ellie and Tron Bonne! All the Mortal Kombat 3- MK Trilogy Character Artwork submissions for our big Mortal Kombat Tribute have their own updated galleries now! Only three MK Character designs are currently not claimed from the over 300 and it looks like the project is finally done soon after being in the works for almost two years! Over 10 more video game characters are featured in the Database including some famous ones like Luigi to really unknown ones like Haohmaru from the Samurai Shodown fighting games and Braum The Heart of the Freljord who is the latest League of Legends Champion and was revealed just a few days ago. The website design changes seem to be liked and useful, the number of visitors through Google raised to over 200 more per day than the week before. From next week on forward, the Friday Fan Art Feature gets an own link in the menu-bar above to give it a prominent space on Game-Art-HQ. 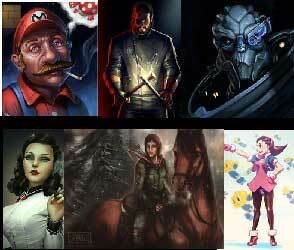 Elizabeth from Burial At Sea, Naked Snake /Big Boss from Metal Gear Solid, Garrus Vakarian from the Mass Effect Trilogy, Ellie from the Last Of Us, Super High Mario and Tron Bonne are the protagonists of this weeks feature! 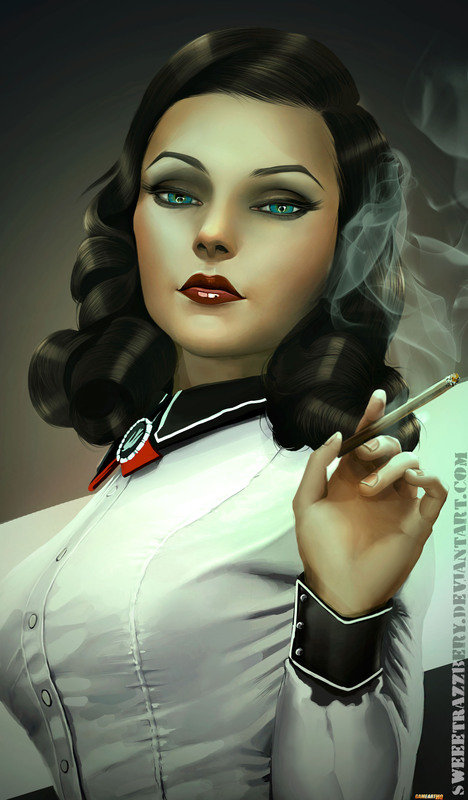 This amazing portrait of Elizabeth from Bioshock Infinite: Burial At Sear got drawn by Sweet Razzberry, a Russian artist who draws a lot of very different fan art including other video games like Resident Evil and Prince of Persia. Loving the style of the composition and how she totally got the Film Noir feeling of the character into her portrait, the smoke effects are pretty flawless drawn too. Wow! Fear and loathing Super Stoned Mario! 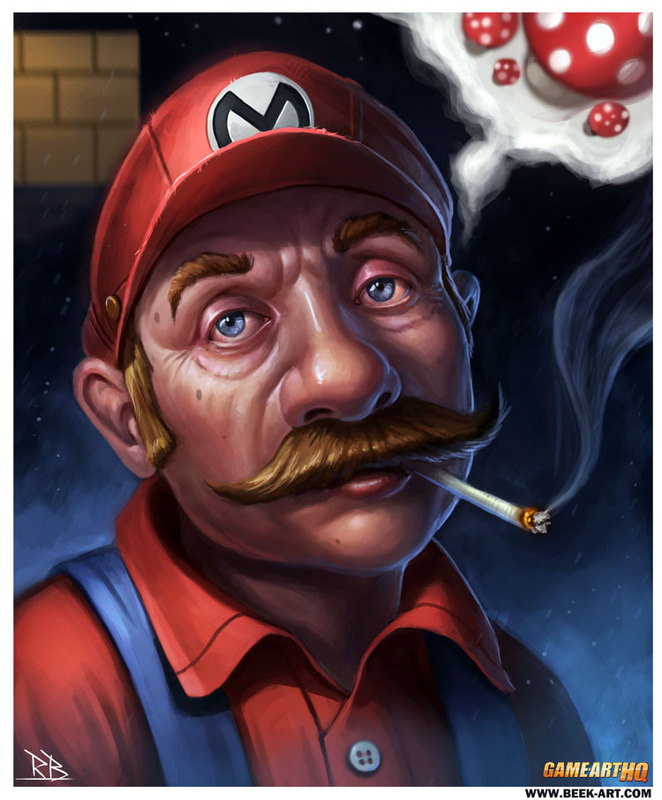 RogierB from the Netherlands, a young Professional Artist who draws since around five years created this portrait of a stoned plumber and i found it both funny and also extremely well done. Now i want to play as this guy and helping him finding those Mushrooms…. 1UP @ Roger! 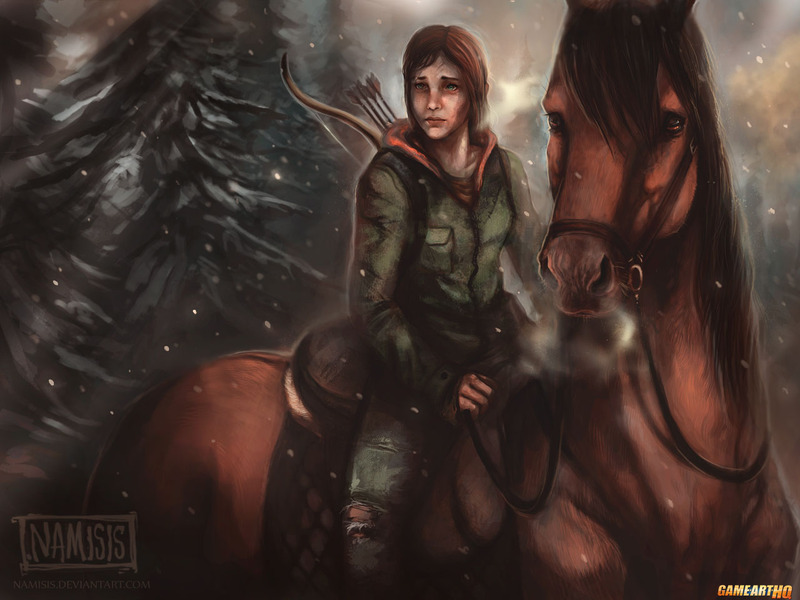 Let’s jump forward from the fun and light-hearted Super Mario Bros, to one of the most emotional video games ever written so far, The Last Of Us and its main protagonist the just thirteen years old Ellie. I did not find the time to try this game by myself yet and every time i regret that when i see another well done fan art about the game…read its going to be on the Playstation 4 in summer though including the DLC and some graphical enhancements. Going to pick that version sooner or later for sure! 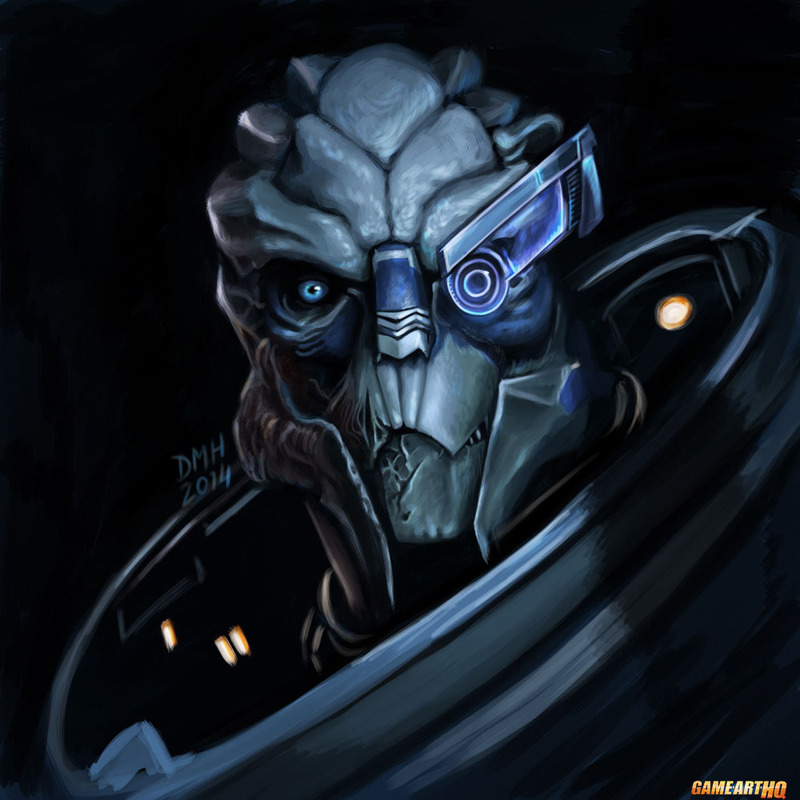 Garrus Vakarian was never the main protagonist in the Mass Effect games but one of its most interesting character designs for sure. Really hope he might be in the next Mass Effect as well even if Shepard does not return. 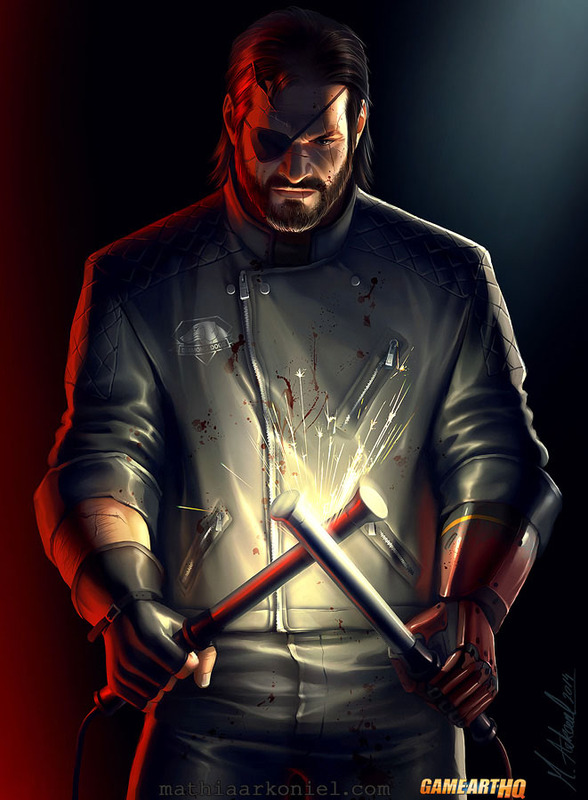 Mathia Arkoniel from Hungary drew Naked Snake / Big Boss here with shockrods, and the image is basically a pseudo-illustration of a Metal Gear Solid Fan-Fic. Thought it is damn awesome and shows a not so nice side of Big Boss. Also: Can’t wait for MGSV! As a big fan of the MegaMan Legends games i am super glad about every new …everything about the series and its characters..including well done fan art of course too! 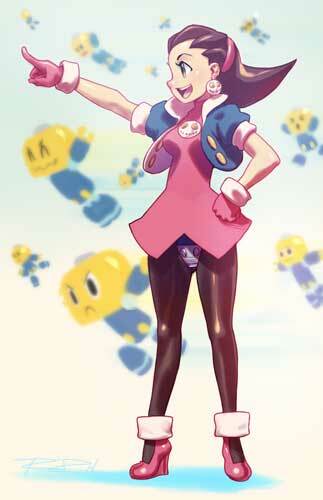 Robert Porter, more known as Robaato drew Tron Bonne and her funny Serv-Bot Army here and called it: “GO, you idiots” ..if anyone of you never played MegaMan Legends 1+2 and The Misadventures of Tron Bonne..i super-strongly recommend you…DO IT! The graphics are damn outdated but the fun is still there! This series of blogs will continue on Friday the 2th May, if you have suggestions, critique or want to comment anything else, you can do that below!